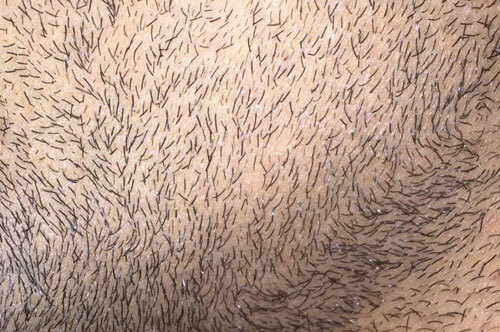 We came across a blog post from a guy who reported hair regrowth on a bald patch on his beard. In fact, he was so excited about the outcome that he posted the result in various forums and sites, so people can try it out. If you are looking for natural alopecia areata treatment requiring minimum effort, you will find this article very interesting. His method is quite simple and easy to try at home. 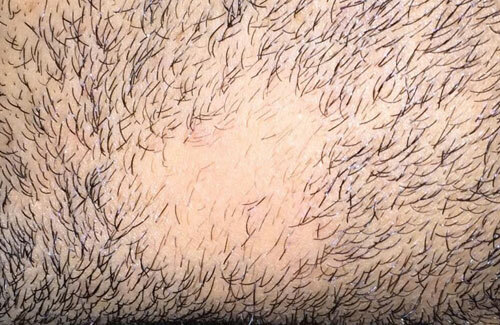 One day he woke up in the morning and noticed a small bald patch on one side of his beard. When he visited a dermatologist, the doctor suggested to leave it as is, since alopecia areata can be reversed on its own without doing any medical treatments to it (read here for all alopecia areata treatments). Unfortunately, his symptom became worse with the bare patch expanding to three times its original size, thus his hair loss journey began. Vitamin D: He says a blood test indicated he had a low level of vitamin D, so he started taking vitamin D supplements (at least one study correlates people with alopecia areata having low vitamin D levels). He also notes that supplementing vitamin K2 and magnesium are important when taking vitamin D in order to get the proper calcium distribution throughout the body). PRP treatment: He did 2 sessions of PRP treatment and wasn’t sure if it actually helped or not. Plus, he said it cost him $200 per session. Changing diet and managing stress: He started adding more dietary fiber into his diet (fruits, vegetables, etc). While continuing his ongoing search for alopecia areata treatment, he stumbled across an interesting blog post. In the post, a woman shares her alopecia areata success story with the use of ginger for inducing hair regrowth on her bald patch located on the top of her head. By rubbing the grated ginger on the bald spot, she started seeing new baby hairs sprouting in just about a month. And he decided to experiment with it, which then… also resulted in actual hair regrowth. Note: Do NOT rub forcefully, otherwise you will get severe skin inflammation. He says a couple of times that you should NOT rub ginger to the bald spot forcefully. He actually tried this thinking that it would increase the absorption and his skin became infected with a 2nd degree burn and took him almost 2 months to get healed. He says rubbing ginger is both “odorless” and colorless”, so there is no need to cleanse it after applying it to the bald patch. On the other hand, the woman from the other blog post says that she left it for 30 minutes and washed it off. Can you cure alopecia universalis or alopecia totalis by rubbing ginger? Going through the comments from his post, one person who had alopecia universalis for 20 years tried this natural hair loss treatment by rubbing garlic on his right arm and 5% minoxidil on his left arm for 4 months. Kindly, the commenter actually followed-up and shared the results. He says minoxidil slightly worked, but didn’t see any effect with ginger. He highly recommends people with localized alopecia areata (small patches) to try out this ginger hair loss treatment. It only takes 10 minutes of your time and it’s free! He also suggests that you should check your level of vitamin D and include fiber-rich foods into your diet. 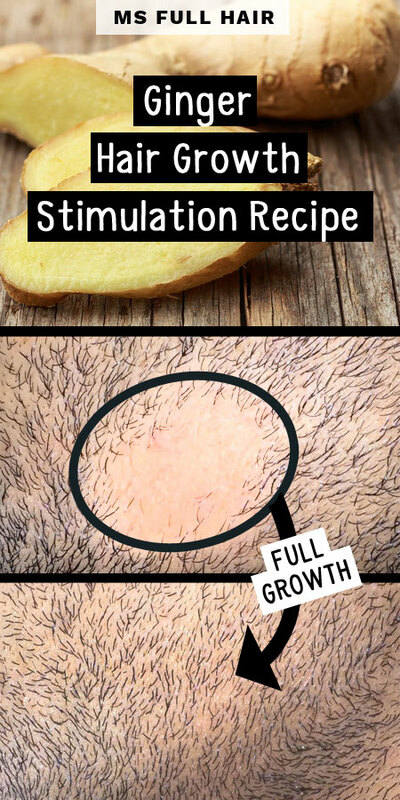 If you decide to try this ginger hair growth stimulation recipe for alopecia areata, make sure NOT to rub ginger for a long period of time nor too intensively. He says that when you feel tingling / burning sensation, he takes that as an indication that the active compound of ginger reached underneath the skin. Interestingly, we haven’t come across any success stories of using ginger for androgenetic alopecia (aka female / male pattern baldness), even though it’s one of those natural hair loss remedies everyone seems to talk about. Have you tried ginger for bald patch hair loss or even for hair thinning with any success? Share your experience in the comment!